It's that time of year again - LICAF! 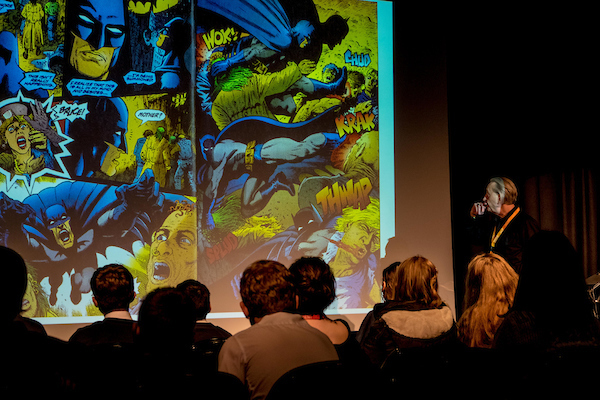 Remarkably, a small and grey market town on the edge of the Lake District (yes, Kendal) has become home to not only the internationally famous Mountain Film Festival but now the worlds biggest comic arts festival. Weird eh? I grew up on 2000AD comic so I'm all over Judge Dread and Nemisis the Warlock, or at least I was when I was appropriately young. 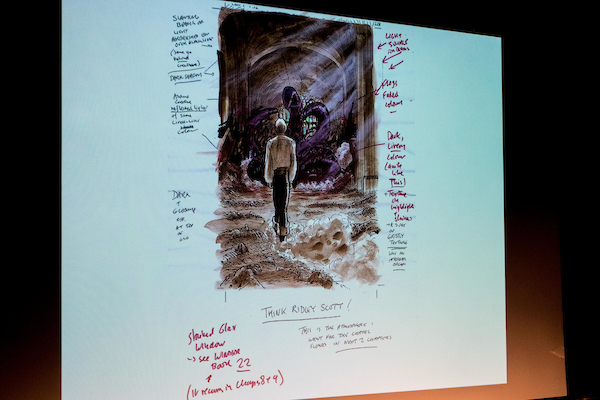 So I was a wee bit intrigued when I was asked to photograph the artist responsible, Bryan Talbot at Kendal College's Box theatre. It's always interesting meeting the actual face behind the name, if you know what I mean. Bryan is not quite what I expected - quietly spoken, slightly intense, a professional artist with wide ranging interests that have taken him a long way from predictable story lines and imagery of DC comics. Not your average geeky comic guy! 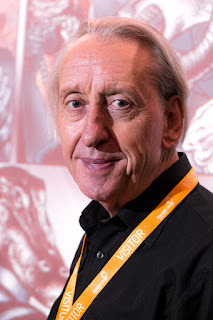 I shot these images with a Fuji X-T10, aperture priority mode, f4.5 hand held at 1/30th second iso 1250, which would be boring geeky info normally but I've just acquired this camera so I'm interested in how it performed under duress...looks pretty good to me. Love this little camera - I think I'll be using this a lot in the future.